Norbec presents NextGrip, a new slip-resistant floor for walk-in coolers and freezers. Norbec is proud to offer a new floor option with superior adherence and stability properties. With more than 35 years of expertise in the manufacturing of walk-ins in a variety of markets, Norbec’s experience has enabled them to create a new floor option which would respond to multiple security concerns especially found in the food service industry. The safety of employees is of great concern as well as creating an optimal working environment. 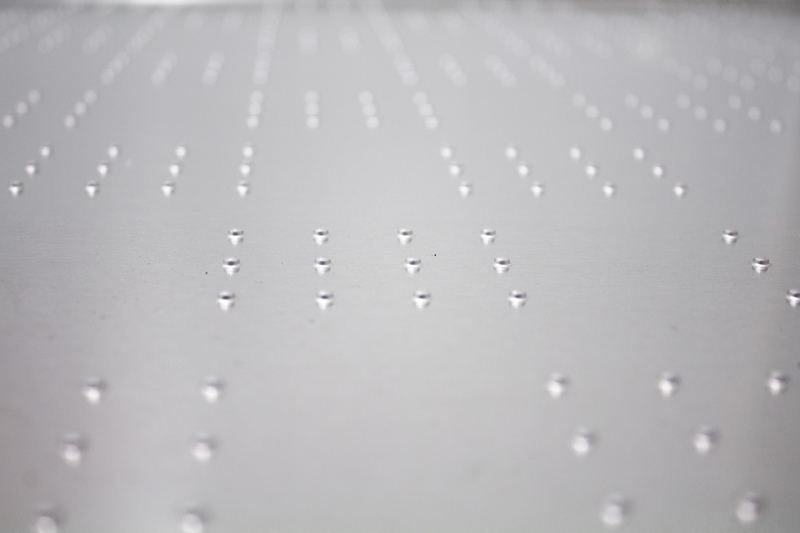 Developed by our internal teams, NextGrip is a slip-resistant floor that has properties which go beyond the ones proposed by the traditional diamond tread plate. The in-house motif, composed of uniform embossments, strategically repeated results in an increased adherence. The floor’s extrusion placement adds to the points of contact found between the floor and the sole of a shoe therefore creating a safer environment for employees and reducing risks of accidents.